The dust has not settled and the tears have not yet evaporated; the feelings of hollowness and emptiness will soon subside as the Langhorne family and the extended Guyana family tries to put meaning and context to the demise of two great daughters in two months. Not only were they daughters but in this instance, mother and daughter; daughter receding mother in one calendar year. And if that was not enough, funeral arrangements had to be suspended for the mother so that a son-in law…Mr. Colin Wiltshire could bury his brother who died suddenly in Canada. First it was Paulette Amanda, a few days shy of her 51st birthday and now the mother, Ms Evelyn Veronica Langhorne. Mother Langhorne was 87 years and was as sharp as a fiddle. She had a cluster of 14 children and is survived by 13 biological children and 44 grandchildren. Cousin Evelyn also has siblings alive and scores of in-laws, great nieces and great nephews. The Langhorne family was one of the more prominent in Victoria… not necessarily because of their numbers but more so because of their share size, girth and stick-to-itiveness in the Christian faith. All the children were approximately six feet tall and they did not have to have outsiders to play a lovely game of cricket, soccer, rounders or marbles. Sunday was dedicated to serving the Lord at the Big-Brethren congregation. As long as the Langhorne’s were there, there was a quorum. The Langhornes also had a big yard that was punctuated by fruit trees. The sapodillas especially used to be course like breadfruits and sweeter than Lord Jesus. I had quite a few as a young man. Their dad Trenton who preceded the wife almost two decades ago worked within the sugar industry as a security specialist. The children all became professionals in their chosen fields of specialization. Everybody migrated and settled in the tri-state community of Connecticut, Ney York and New Jersey. 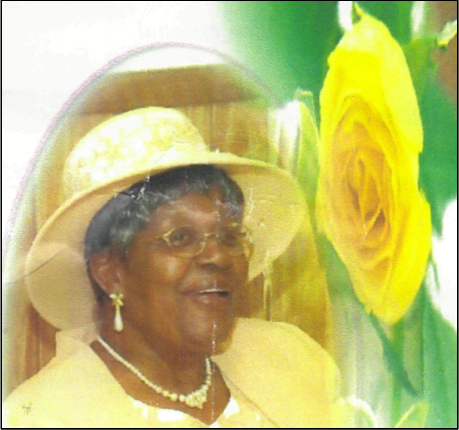 Ms Langhorne up to the time of her death in February was an active church member and her body will be returned to Guyana to be with her husband in the Victoria cemetery. The community in both the diaspora and Victoria are still in a state of mourning. I am so late in catching up on my e-mails that I missed the death of cousin evelyn. Yes, the Langhorns a household name in victoria village. As a little girl, going up to victoria to see my grand mother aunti bella (isabella benn) and all the other relatives, cousin trenton and cousin evelyn were among the broode to call upon. one of the girls is married to my cousin ashton bristol whom I visited a few years back – the same house where I visited cousin eveylyn and cousin trenton on the main road. Better late than never, may the almighty grant to her, eternal rest. Sad to hear the passing of a family member.. I would be grateful to know how she was connected to my dad Lindley Langhorne Snr from Victoria.